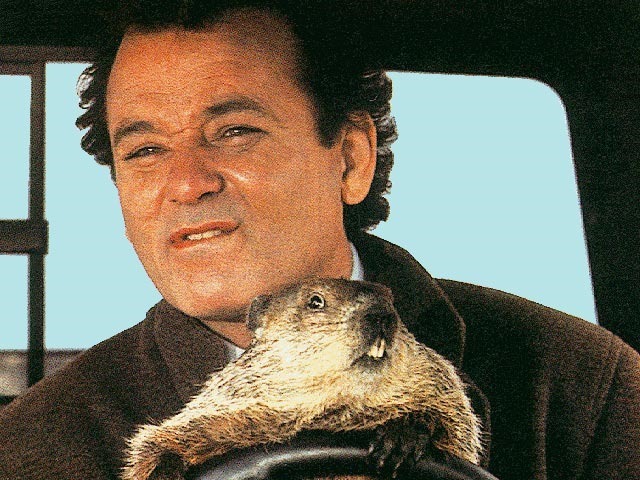 Groundhog Day is more than just a classic comedy film. The annual celebration has its roots in European folklore. Legend has it that on Groundhog Day celebrated on February 2 each year, if the groundhog emerges from his burrow and sees his shadow, he will be scared back into the burrow and spring will be delayed for another six weeks. On the other hand, if the groundhog does not see his shadow, spring arrives earlier. Enough with the movie and holiday trivia, what does this mean for your garden? Well, if StormFax Weather Almanac is to be trusted, you probably shouldn’t put too much stock in what Punxsutawney Phil has to say on the matter. According to their statistics dating back to 1887, the accuracy of the Groundhog Day prediction is only about 39%. In other words, I don’t recommend basing your spring garden plans on the whim of a groundhog who may or may not even be in a good mood tomorrow. In fact, he might just be really tired after a long night of pre-Groundhog Day celebrations, who’s to say? The most reliable way to predict what the weather is going to do on any given year is to trust the weather experts – the meteorologists who study decades of historical data charting patterns and watch for key indicators in computer models. Even with this level of scientific prowess though, the meteorologist can sometimes get it way wrong (I should know, I’m engaged to one). In the end, I have found the most reliable method for determining my spring planting date is to follow history. Even though it is going to be off sometimes, all does not have to be lost. If you’re worried about a late freeze, don’t put your plants in the ground unless you have adequate protective measures to put in place at a moment’s notice.